Aerial view of the Codrington lagoon Sept. 22, 2017 in Codrington, Antigua and Barbuda. On Sept. 6, Hurricane Irma caused widespread, catastrophic damage to Barbuda, a 160-square-kilometre island in the Caribbean with a population of about 1700 people. Known for their pink sand beaches, warmth and community spirit, Barbudans were left without shelter, communication and other basic needs, as Hurricane Irma destroyed 95 per cent of the buildings and left three people dead. Well that island was once my home-away-from-my-birth-home. Before making the difficult decision to leave my family in Antigua and move to a safer place for me and my fiancé, I was a television news anchor and entertainment host who would travel to my sister island, Barbuda, every year for work and fun. Each time I visited the island, I never wanted to leave. You see, Barbudans have always treated me with respect and kindness. This is just who they are. Barbudans are also very proud people who have worked extra hard to sustain their families and to protect their livelihood, which is the fishing industry. So news of the island-wide devastation and the breach in the lagoon broke my heart into pieces. Peter Cuffy, 41, and his wife Jenita Cuffy, 40, walk behind a Red Cross crew as they look at the damages on the island of Barbuda in the aftermath of Hurricane Irma on Sunday, Sept. 24, 2017, in Codrington, Antigua and Barbuda. Barbudans are currently being sheltered in Antigua and want nothing more than to get back to a normal life in our beloved Barbuda, a hidden treasure that was cherished by the late Princess Diana. However, this will take time and money. We're talking at least US$150 million, Prime Minister Gaston Browne said last month. Understanding this, I started a GoFundMe campaign titled Barbuda Hurricane Relief Fund, which has been registered with the Government of Antigua and Barbuda. With a goal of $10,000, the fund will provide relief to survivors in the form of emergency supplies like food, water, medicine and will help with the rebuilding process. 100 per cent of donations to this fund will exclusively support relief and recovery efforts. I need interested donors to know this. Barbudans will have to start over and I know many of us won't ever experience that, but it certainly will require the help of many. This is why every penny counts and will be greatly appreciated. A general view of the Codrington lagoon September 22, 2017 in Codrington, Antigua and Barbuda. I will also be donating proceeds from my debut single "We Are One," a unity anthem, to the hurricane relief efforts and will be performing at the Nov. 11 Independence Gala and Fundraiser, organized by the Antigua and Barbuda Association of Toronto. These fundraising efforts will continue in the months to come, as Antiguans and Barbudans work together to rebuild the country. Even as I utter the words "rebuild the country," it hurts my heart. Around this time in August, I was preparing to travel to Montréal for the inaugural Fierté Canada Pride. 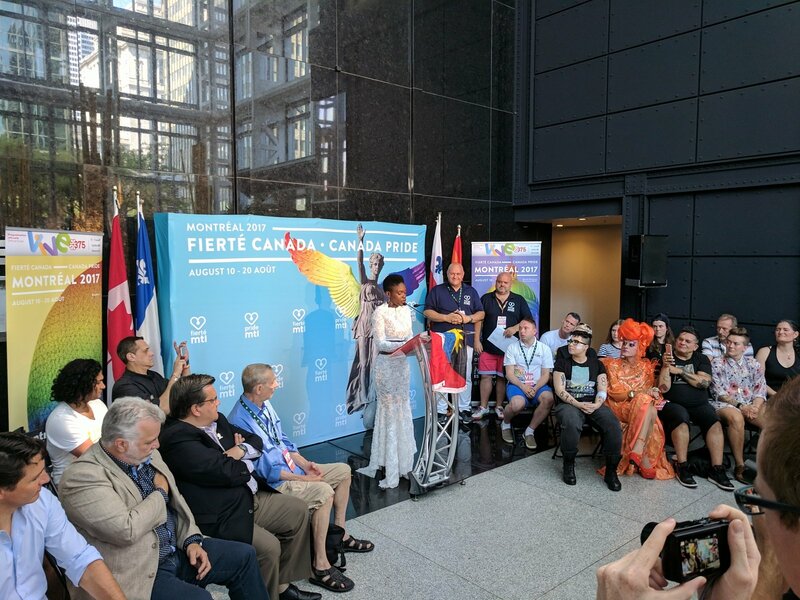 During the celebration, I had the profound honour of being one of several activists to be recognized as a Grand Marshal for our work in the queer community and because of my unconditional love for Antigua and Barbuda, I took the flag with me and waved it high for all the members of the LGBT community there. But I didn't foresee that moment of joy turning into absolute pain and worry the next month. 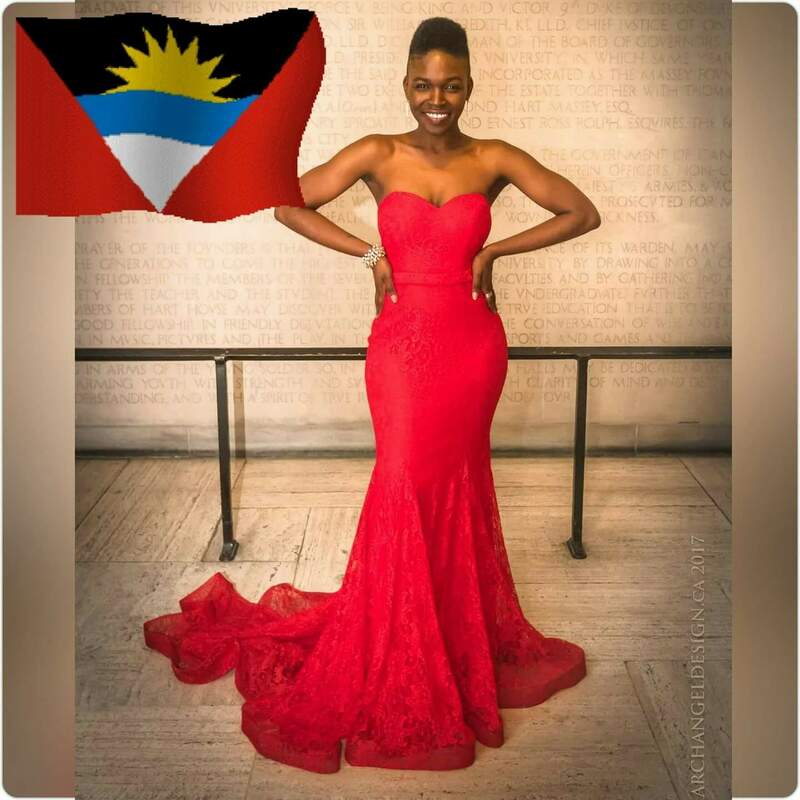 Even as I continue to struggle with the reality of not being in Antigua with my family and friends, I pray that my Barbudan brothers and sisters will receive the love and compassion from humanity and I only ask that you join hands with me and donate, because Barbuda needs us now more than ever. To donate to the Barbuda Hurricane Relief Fund, click here. Be sure to share the campaign as well and please know that your kindness is deeply appreciated.